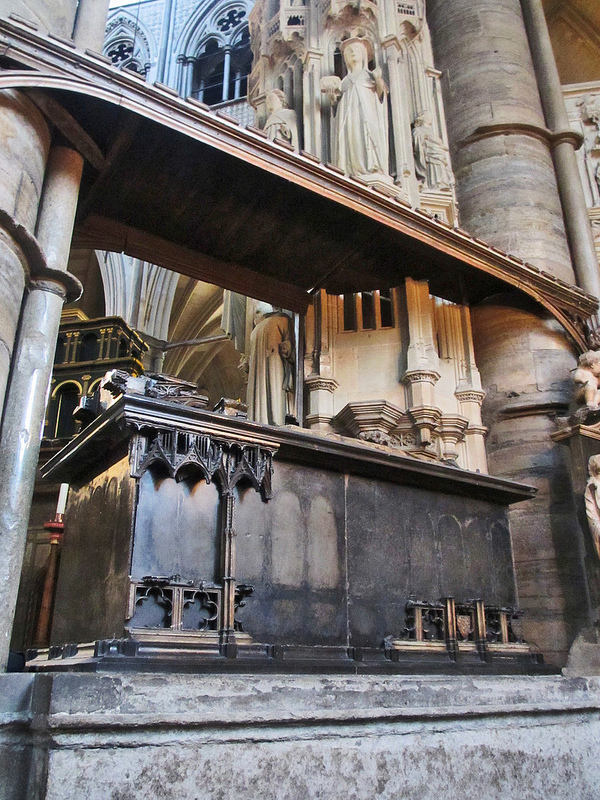 The tombs of Edward III and his queen Philippa of Hainault are in the Chapel of Edward the Confessor, Westminster Abbey, London. 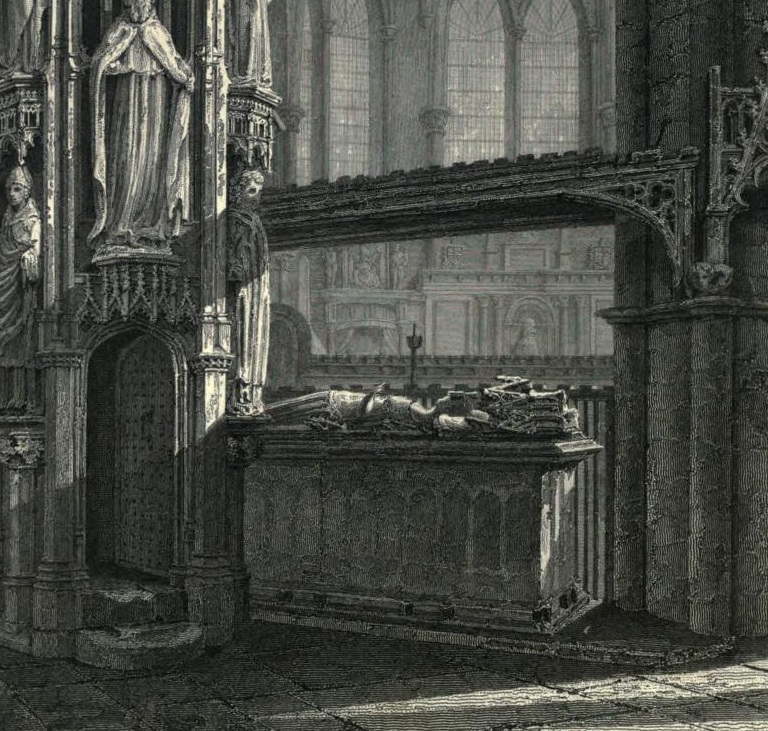 For Edward III see p.100 in [Brayley, vol.2, 1823]. 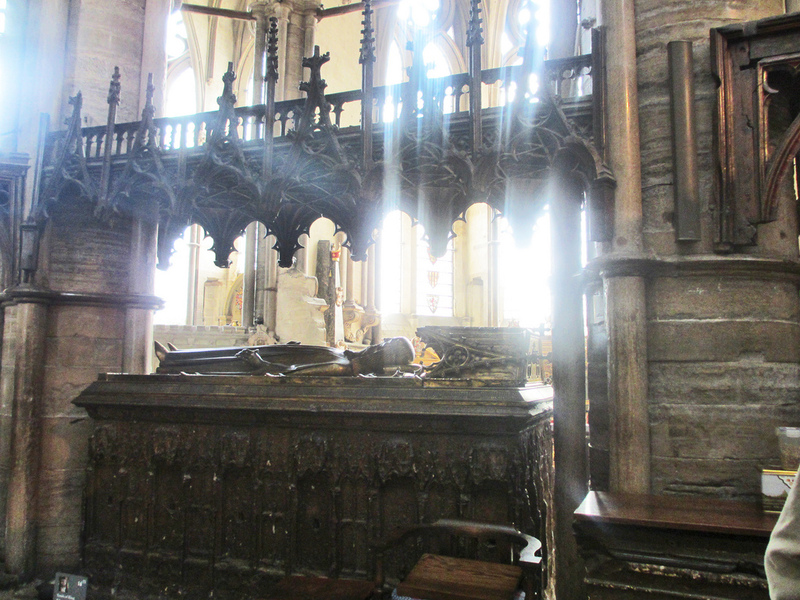 For Philippa of Hainault see p.96 in [Brayley, vol.2, 1823]. 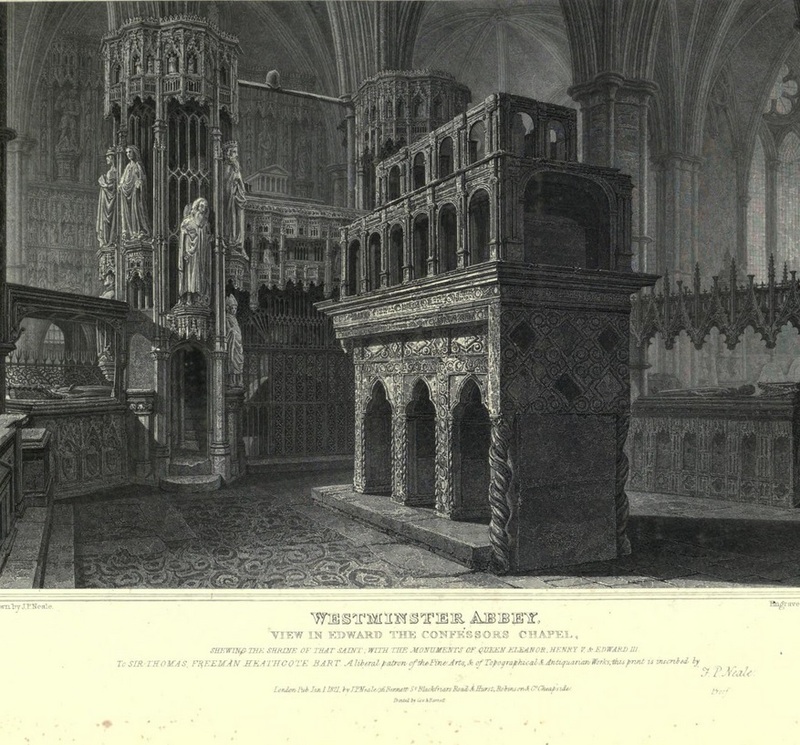 Map of part of Westminster Abbey. 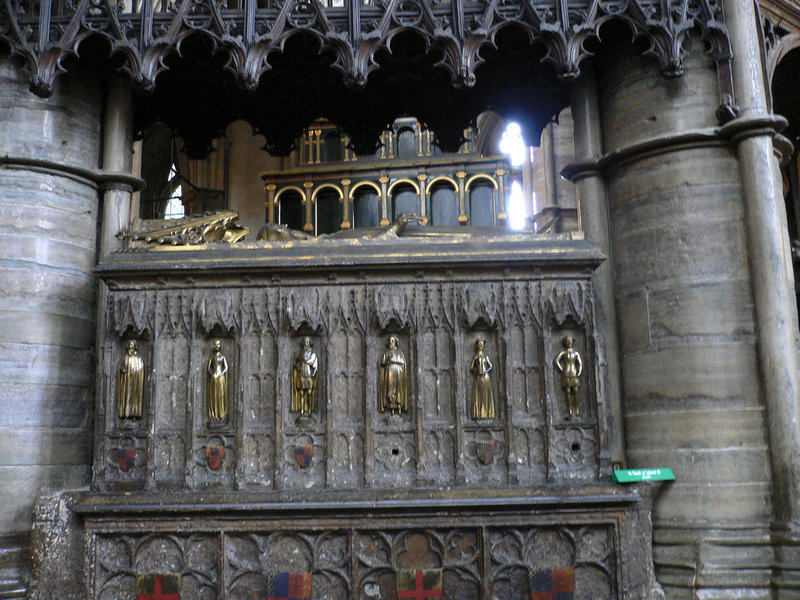 Tomb of Edward III, in Chapel of Edward the Confessor, is circled in blue. 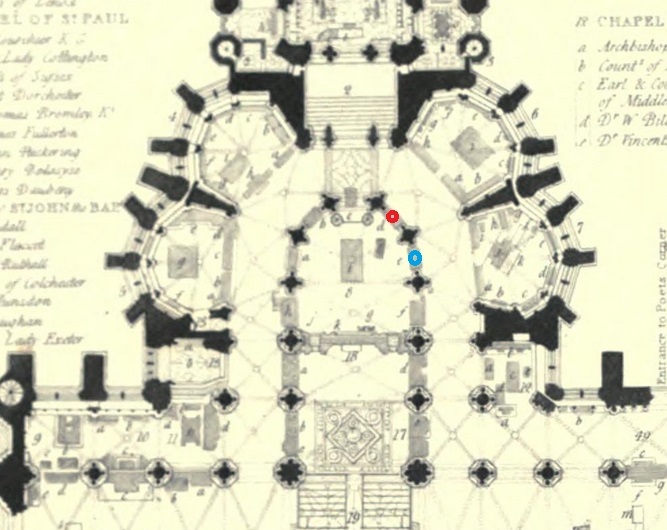 Tomb of his wife Philippa of Hainault is circled in red. From opposite p.204 in [Combe, 1812, vol.2]. See also photo in 1924 survey. 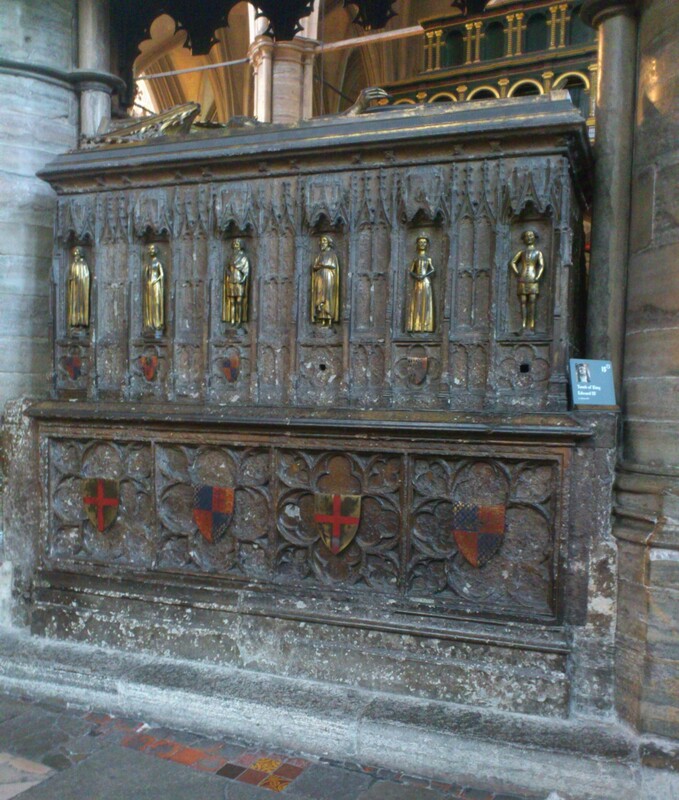 Tomb of Edward III, from inside the Chapel of Edward the Confessor. From Phoebe Seward. Used with permission. Tomb of Edward III (right), from inside the Chapel of Edward the Confessor. From facing p.46 in [Brayley, vol.2, 1823]. 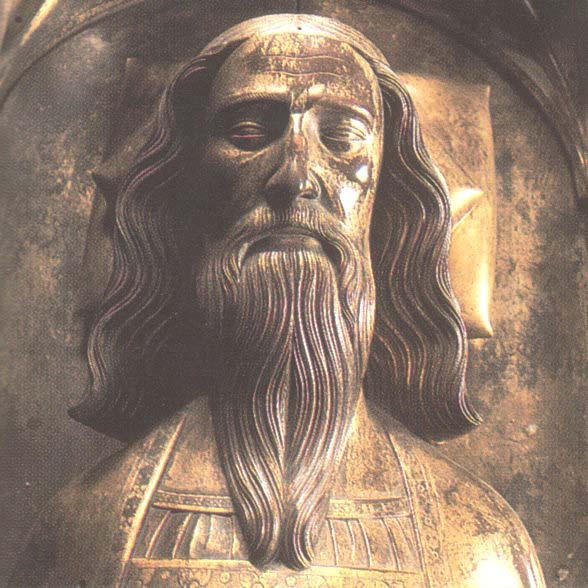 Edward III, effigy in Westminster Abbey. Public domain image from here. 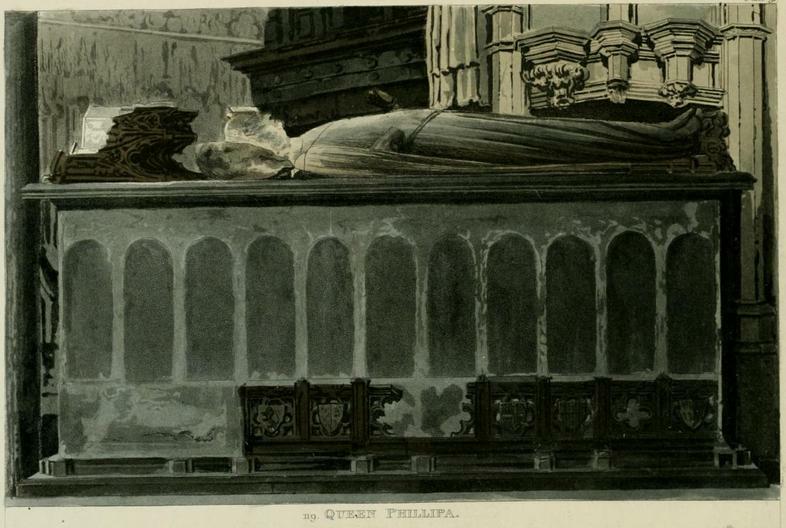 Tomb of Philippa of Hainault, from inside the Chapel of Edward the Confessor. From facing p.83 in [Brayley, vol.2, 1823]. Tomb of Philippa of Hainault, from outside. From opposite p.201 in [Combe, 1812, vol.2]. 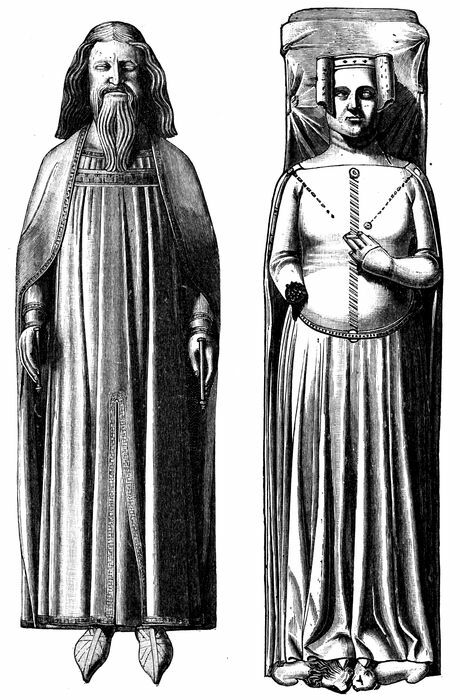 Drawing of effigies of Edward III and Queen Philippa, from their tombs in Westminster Abbey. 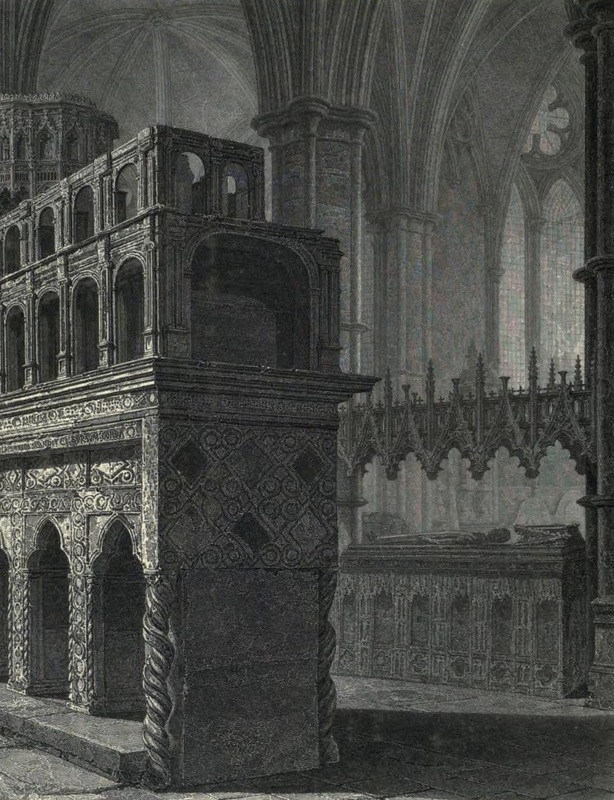 From A Student's History of England by Samuel Rawson Gardiner (1916). See here. Originally from Blore's Monumental Remains. 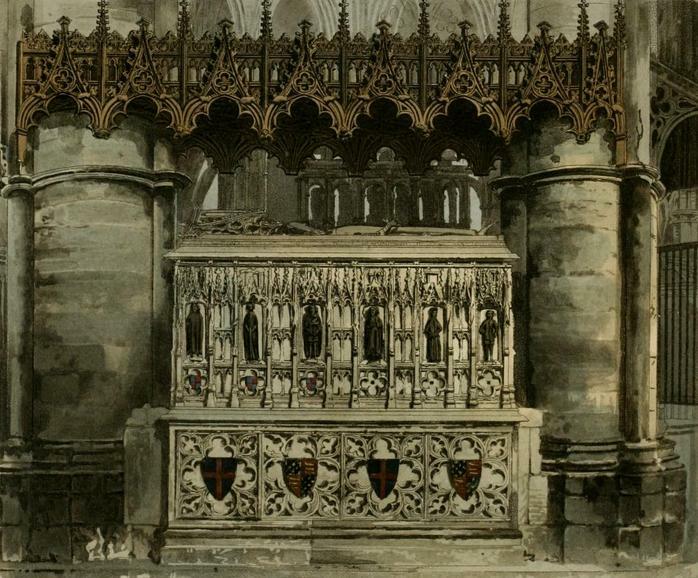 See similar drawing in Part 5 of The monumental effigies of Great Britain, Thomas Hollis and George Hollis, 1840-41.